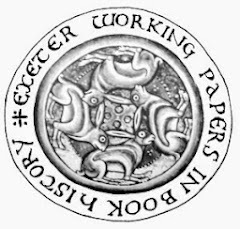 Exeter Working Papers in Book History: Devon imprints. Plymouth : Dartmoor Press. Devon imprints. Plymouth : Dartmoor Press. The Devon book trades. Imprint registers. Plymouth : Dartmoor Press, 1993-2001. The Dartmoor Press produced booklets containing material from original documents relating to parishes in Dartmoor and west Devon researched and written by Mike Brown. There was a flurry of more than 400 publications between 1994 and 2001. A series of publication lists were produced, the latest traced, for 2001, being reproduced in Genuki. Since then Dartmoor Press seems to have concentrated on publishing through CD-ROMs and USB sticks, the main distributor being the Parish Chests website. Those available in July 2018 are listed at the end of the main listing. They are undated, so an arbitrary date of  has been assigned. None of the Dartmoor Press printed publications appear in BNB and individual titles are consequently difficult to locate. Some titles have been acquired by the Westcountry Studies Library, others by the Plymouth Local Studies Library. Senate House Library also has a number of titles. Dates of publication and titles sometimes differ between the publisher's catalogue and the holding libraries so a definitive list of imprints is difficult to ascertain. The Plymouth and West Devon Record Office also have at least 46 publications (ref: 1903, not all separately listed) but more significantly 405 files of Mike Brown's manuscript working notes have been deposited (ref: 2807). The arrangement of the list follows the normal chronological format (as far as can be ascertained) subdivided alphabetically by title. The CTRL+F function can be used for keyword searching. Dartmoor Press CDs available through the Parish Chest website July 2018.